After the jaw-dropping revelation that Oak is the heir to Faerie, Jude must... read more keep her younger brother safe. 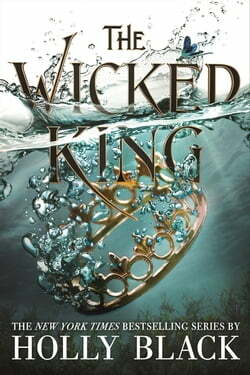 To do so, she has bound the wicked king, Cardan, to her, and made herself the power behind the throne. Navigating the constantly shifting political alliances of Faerie would be difficult enough if Cardan were easy to control. But he does everything in his power to humiliate and undermine her, even as his fascination with her remains undiminished.